New technologies of pumping stations optimize the yield and improve the solar thermal system security. Station for emptying preassembled with the surface of collector fields up to 35 m2, with possibility of modular extension. 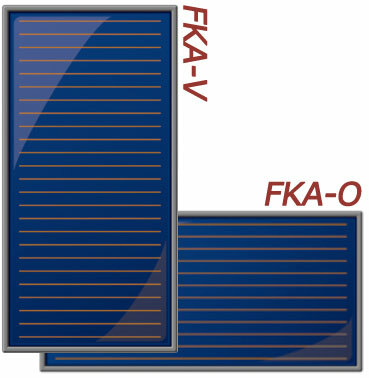 Solar panels floor fka-240 meander are developed for maximum yield with solar thermal systems. They integrate seamlessly with the station solar emptying SolBox. La technology Drain Back born during the winter to avoid the danger of freezing of the fluid in the collectors and in the summer the system from overheating. When the solar power system reaches the maximum temperature, the heat transfer fluid present in the tank flows into the collectors of the SolBox.